Editor's Note: This op-ed was first published December 7, 2014 by the Los Angeles Times. At first, it was easy to overlook. With all of his statements about caring for the poor, the disabled and immigrants, and all the fanfare surrounding his famous “Who am I to judge?” proclamation, Pope Francis seemed like a breath of fresh air for a church stuck resolutely in the past. 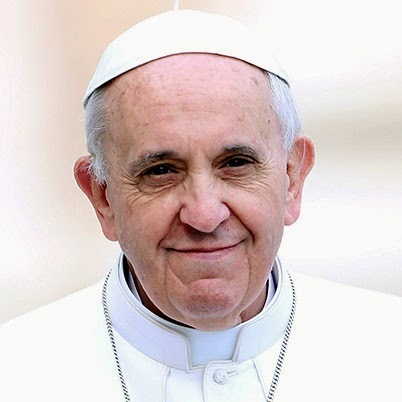 The fact that he never commented on the long-standing marginalization of women in the Catholic Church, and asserted quite plainly that there would be no ordination of women, did nothing to dampen progressive enthusiasm for the new pope. There has been a hopeful sense that he would get around to it eventually. He hasn't, however, and there is reason to question whether he ever will. Instead of a more compassionate and understanding take on the standing of women in the church, Francis has repeatedly embraced the traditional Catholic view that a woman's role is in the home. Last week, in chastising the European Parliament on the subject of immigration policy, Francis provided another alarming insight into his attitudes toward women, this time in his choice of metaphor. He described Europe as a “grandmother, no longer fertile and vibrant,” but instead “elderly and haggard.” At 77 years old, presumably Francis still thinks himself relatively vibrant and useful to society. Women of his age, however, have apparently outlived their utility. Francis has made it clear that he sees childbearing and child rearing as crucial womanly roles. 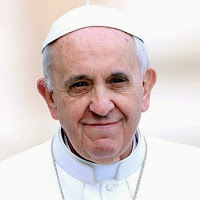 But his remarks about European immigration marked the first time Francis has used the natural loss of fertility and change in appearance that accompany aging to cast a moral judgment. By selecting the image of an aging woman — someone who is, to use Francis' words, no longer “relevant” to the world — is nothing other than crass chauvinism. Francis has elsewhere condemned our modern “throwaway” culture that discards the elderly, but here — when the subject is exclusively female — he demonstrates the same attitude. It is too much to expect, even with Francis at the helm, that the church would decide to admit women to the clergy. But it would be no violation of doctrine to recognize women as contributing to the life of the church, as being intrinsically and equally valuable, regardless of their familial role or fertility. Francis has had many opportunities to express these sentiments, yet he hasn't. It's hard not to conclude that he sees procreation as the end goal — and the functional utility — of a woman's life. Candida Moss is professor of New Testament and early Christianity at the University of Notre Dame. Joel Baden is professor of Hebrew Bible at Yale University. They co-wrote the forthcoming Reconceiving Infertility: Biblical Perspectives on Procreation and Childlessness (Princeton University Press). I am hoping Pope Francis will learn that his metaphors are hurtful.